Just a quick post this week, as I’m rushed for time and stressed about house buying. And you really don’t want me posting about that. So, anyway, Pied Starlings. 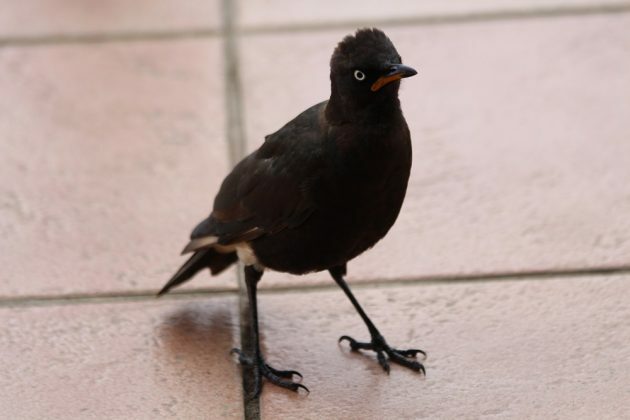 Pied Starlings don’t need to get their black feet into the property market and are much happier because of it. They will sit on tiles in search of a scrap though. 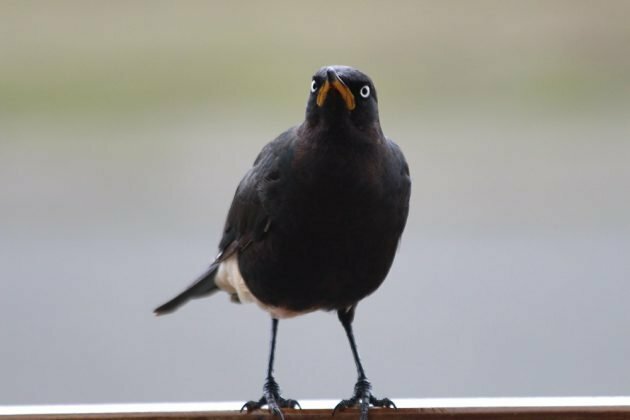 Africa is home to many striking and brightly coloured members of the starling family, a family that gets short thrift in many parts of the world due to the widespread introduction of a few rather, uh, domineering, species. 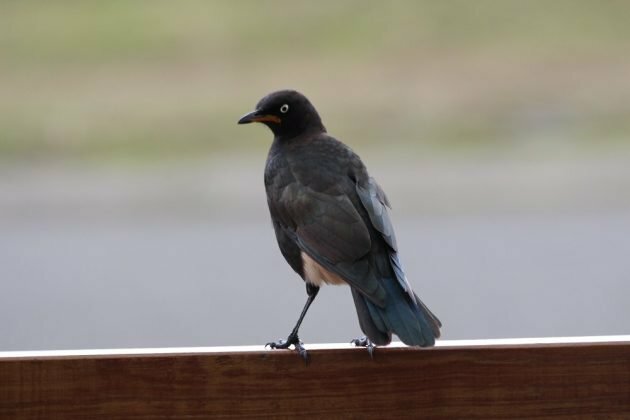 The Pied Starling is not brightly coloured or shiny, even if it is, as as only recently been realised, it is in the genus of glossy starlings found across Africa, Lamprotornis. 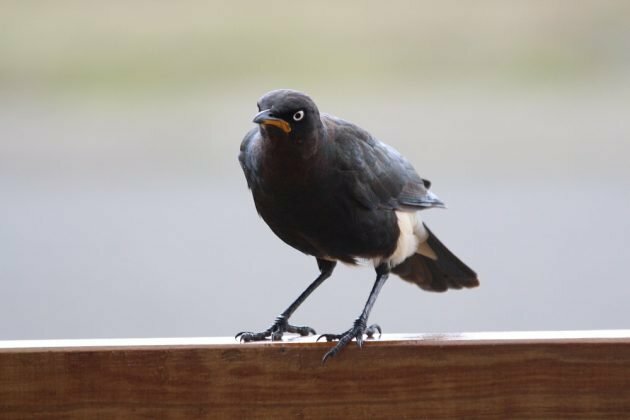 Pied Starlings are black and white, as their name suggets. They aren’t closely related to Asian Pied Starlings though. 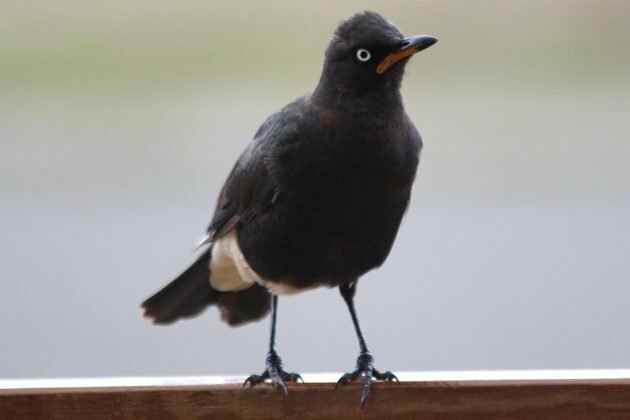 It’s endemic to Southern Africa, and not uncommon in its range. I didn’t see them often, but that was a product of the places I went. The first time I saw them I only noticed them after a few minutes as they were feeding with introduced Common Myna. It was a very damp day and so I didn’t stay with them long, so I was glad to come across them as a common resident of the town of Wakkerstroom (a very birdy town). It was here I was able to photograph a few to share with you. So go to South Africa and find one! Wow, that might be the most pissed-off bird species I’ve ever seen. Move over, Grumpy Cat, you’ve got competition! Very cool, looks like a thrush/starling/wheatear! Belding’s Yellowthroat, Endemic and Endangered! Where Are You Birding This First Weekend of February 2014?